Aviation Specialists’ Qualification Improvement Centre (ASKTC) is a state approved flight training organisation (FTO). ASKTC is a subdivision of Antanas Gustaitis Aviation Institute (AGAI), the main activity of which is the preparation of aviation specialists to obtain qualification and to renew knowledge. ASKTC organized course profile is revised according to demand. 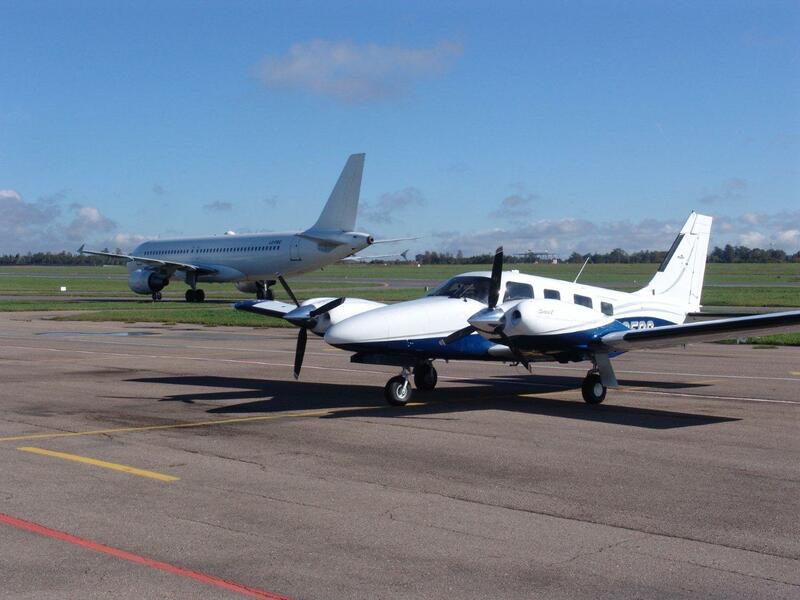 The training course programmes are accredited by Civil Aviation Administration (CAA) of Lithuania, and the courses are taught by CAA approved lecturers and instructors. In order to prepare specialists of highest qualification ASKTC cooperates with and uses the services of specialists from SE “Air navigation“, air enterprises, airports and other aviation enterprises. ASKTC after completion of courses specialists work in the Military Air Force, SE “Air navigation“, State Boarder Guard, airports, air enterprises, aeroclubs and other aviation enterprises. The training courses are attended not only by specialists from Lithuania but other countries as well..
ASKTC the training courses according to requirement can be administered in Lithuanian, Russian and English. Certificates are issued after completion of courses. In accordance with ASKT possibilities and your needs we can organise courses for you, at any time. or visit our centre at Linkmenų st. 28, Vilnius, Room 39. The FNPT II MCC the simulator allows training institutions to improve and reduce the price of pilot training process. According to JAA/EASA requirements, with this device a part of practical training flights can be executed in many training programmes. The simulator can be used in preparation from training for a PPL and even for a MEP CPL (A) with IR and multi-crew cooperation training MCC. Also it is an ideal device to retain a qualification for pilots that do not fly much. This simulator is also used for preparation of Military Air Force pilots. This simulator can imitate flights of aircraft C-172, PA-34, Beechcraft King Air (B200), Boeing 737. With the simulator the pilot training process can be made more complicated by simulating emergency situations and harsh weather conditions which would be dangerous in real flight practice. 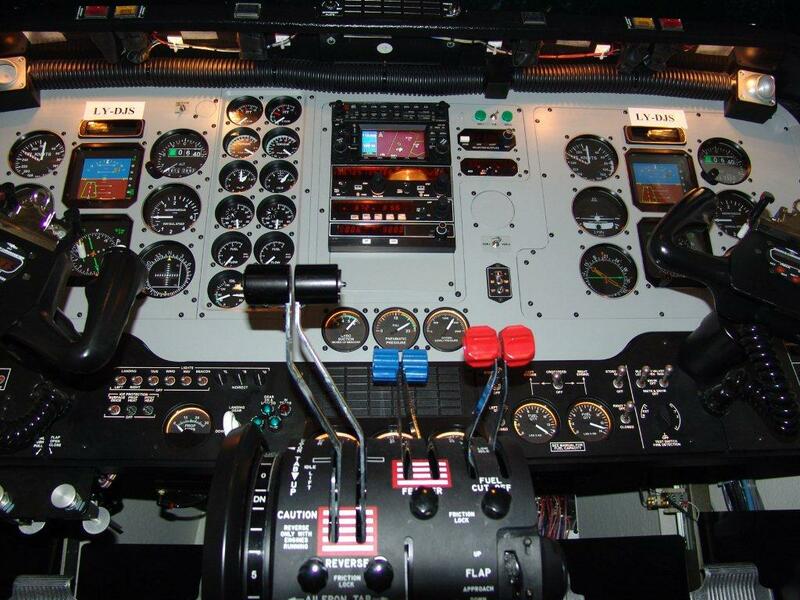 The simulator cockpit can imitate a few types of equipment and avionics. It is equiped with a panoramic view system. Real airport runways and premises and reljefs can be visualised. Various meteorologic conditions can be modelled, time of year and day or night. The simulator is controlled by 7 computers. This simulator is appropriate for training pilots that are planing to work in commercial airlines. The simulator can visualise 3 detailed modells of big airports and 12 models of general detal airports of Europe, which allows preparation of crews for flights to airports with complex flight procedures. The simulator is certified by Lithuanian Civil Aviation Administration, therefore trainings with this simulator are approved in all EU member states.